Kelley Insurance Agency offers Home Insurance Discounts for Loss Free History, Non-Smokers, Seniors, Security Alarm, New Home, Auto/Home. We offer insurance for Homeowners, Landlords, Renters, Condo/Townhouse owners, Condos Rented to Others, Course of Construction, Hi-Value Homes, Beach Front Homes, Duplexes, Triplexes, and Fourplexes. 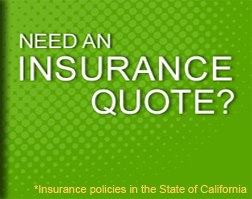 We can provide insurance coverage for Small, Medium and Large Homes. Some of the coverages we offer are Homeowners Insurance, Dwelling Fire Insurance, Real Estate Hazard Insurance, Contents Insurance, Liability Insurance, Earthquake Insurance, Flood Insurance, Brush Insurance, Loss of Use Insurance, Loss of Rents Insurance, Separate Structures Insurance, Medical Payments Insurance, Computer Insurance and Specialty Floater Insurance Policies. San Andreas fault 'locked, loaded and ready to roll' Are you prepared?!? IT'S BRUSH FIRE SEASON!!!! ARE YOU PREPARED? Do You Need Flood Insurance??? Hi Jim, Our HOA is discussing the requirement of all unit owners in our association to have fire insurance. Because of the multifamily setting, if one unit were to burn, it could potentially burn an entire building of 7 units or more if the fire were to spread to neighboring buildings. The HOA insurance covers structure only, and would not cover the liability of damage to theone's own personal property or that of any neighbors affected. What types of policies are available? building), Earthquake & Flood Insurance. Let me know if you or any of your neighbors are interested and I can get you a quote.